On the 15th Fairway this 1979 home is on tags for the cash buyer. You will love the Open Floor Plan! The kitchen overlooks the Great Room and the Dining Area. The cathedral ceilings give the area a spacious and open feel while enjoying the golf course view from the Living Room, The Dining Area and the Kitchen. 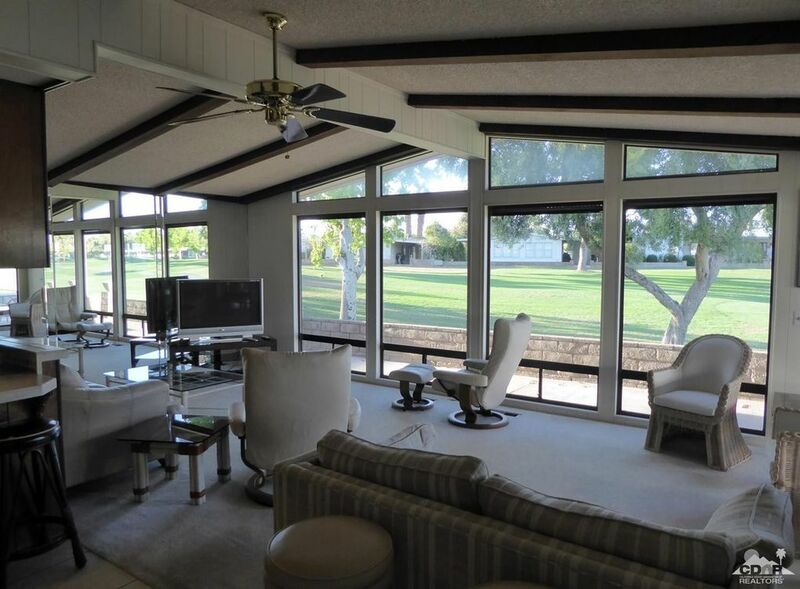 The Tiled Sun Room gives added living area with golf and mountain views. Plenty of space for entertaining or just relaxing and enjoying the view. The large laundry area off the kitchen has a desk area and lots of cabinets for storage. The large master suite is in the back of the home. The guest bedroom and bathroom are conveniently located in the hall leading to the master suite. Parking is no problem as you can park on either side of the home. The is a golf cart shed as well as a storage shed. Directions: Go straight on Palm Greens Parkway. Take Parkway to Adobe Springs Drive, turn right. Take Adobe Springs to Cabazon Peak turn left. Cabazon Peak to Fawn Springs, turn right to Highland Springs. Turn left on Highland Springs to Poppet Canyon.